I realized upon logging in to my Society of Children’s Book Writers & Illustrators account the other day that I have been with SCBWI for five years. That raises the natural question, what have I gotten out of it in all that time? I have taken two master classes in pictures books, one master class in novels, one master class in writing non-fiction for children, and attended additional seminars/ or classes on character development, humor writing, and book marketing. My writing has definitely improved. Not just my children’s books, but my adult work, too. Many of the constructs in novel writing don’t change according to age — character development, story arc, pacing, etc. Word choice, language, and situations may, but many of the approaches are the same. It has expanded my ability to edit books. My work as an editor before SCBWI was almost exclusively in adult books, both fiction and non-fiction. Being taught how to write children’s books taught me how to edit them. I’ve been able to develop a relationship with editors in closed houses — something that would not have been possible without various SCBWI conferences. I’ve met the two children’s book authors who most influenced my work, and both were extremely nice and approachable. One would have happened without SCBWI, but the other almost certainly would not. To paraphrase Pete Seeger*, “I don’t know if I’ve made a difference working in children’s literature, but I do know I’ve met the best people.” In this case, people interested in the welfare and education of children; authors hoping to inspire the next generation. Over these five years, I’ve spent enough money to cover two full semesters at a good community college, and no, I haven’t yet gotten that investment back, but I feel that I’ve learned more than I would have learned about writing from local courses on the subject. I remain optimistic that it will pay off like any college degree. I’ve had three books go to acquisitions (two picture books and one middle-grade novel) and though none were ultimately signed, I have been the recipient of some delightful rejection letters. I doubt if those books would have gotten as far without those SCBWI master classes and one-on-one critique sessions with some very talented (if very inaccessible) editors. So, will I renew my SCBWI membership next year? Probably. And who knows, maybe at my tenth anniversary, I’ll be able to write about the books I’ve had published thanks to the education I’ve received at the conferences and seminars, as well as other exceptional personal rejection letters and at least one exceptional acceptance phone call (because they always give you the good news over the phone). Thanks, SCBWI, for a good five years devoted to concept, craft and commercialism — three important aspects of every author’s writing life! *Although it’s a ways off, it never hurts to mention it — my middle-grade biography on Pete Seeger will be published next spring. 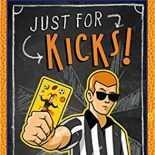 This entry was posted on August 30, 2014 by johnbriggsbooks in Book Marketing, Children's Books, Editing, Nonfiction, Writing and tagged book editing, book marketing, children's books, middle-grade, non-fiction children's books. american history, picture books, SCBWI, submissions.